If you like BBQ's, mingling with people, taking pictures, enjoying the outdoors, we want to hear from you. You could be our next Summer Cruiser, fill out the info below. 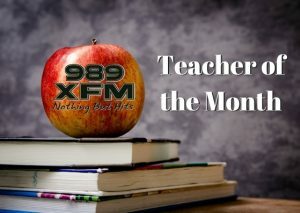 989 Nothing But Hits 2019 Teacher of the Month! The 989 XFM family is proud to continue to bring quality information and entertainment programming to listeners throughout Northeastern Nova Scotia.